Modern apartments Torrox for sale. Newbuild off-plan. Promotion of modern Torrox apartments of 1, 2 and 3 bedrooms. 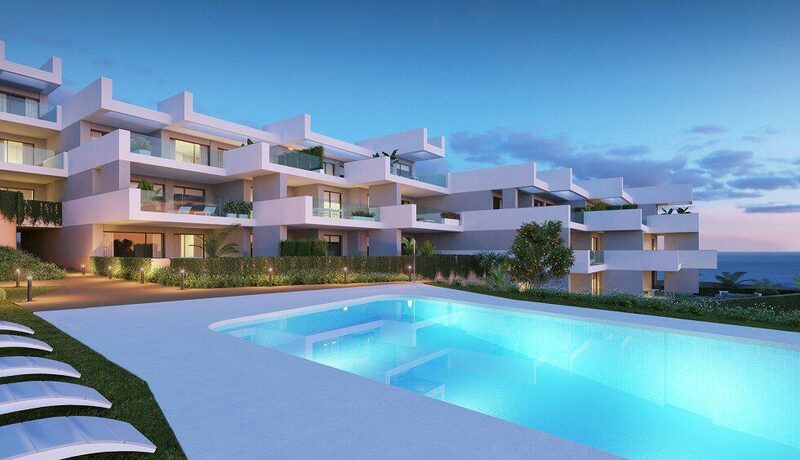 The project is located in the most sought-after areas of the east coast of Malaga. Its magnificent location offers unbeatable views of the sea. Buyers can choose homes with east, south and west orientation. The modern Torrox Costa apartments are just a step away from the beach. The project also has swimming pools for adults, for children and a complete outdoor gym. All homes have integrated kitchens in the living room. This gives them a great brightness and allows to enjoy the great views of the sea. The apartments are equipped with large terraces with glazed walls to be able to contemplate in all its dimension the immensity of the Mediterranean. 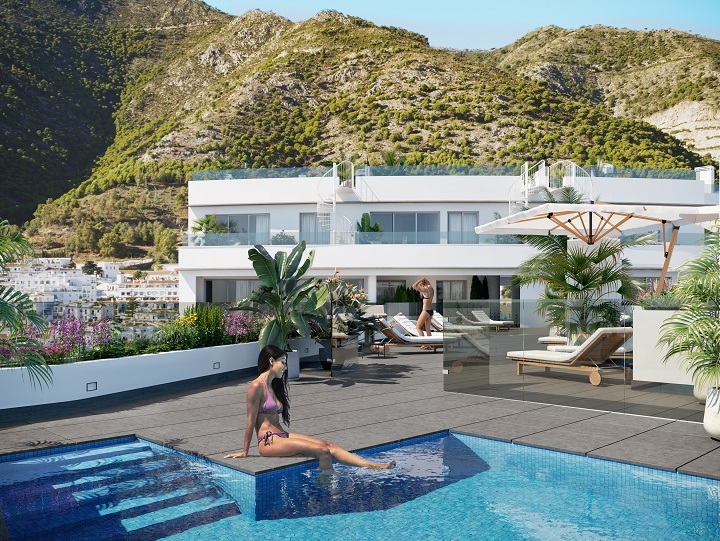 The modern apartments are perfectly connected to the towns of Torrox Costa and Nerja, in the heart of the eastern coast of Malaga. An area of ​​Andalusia of great tourist attraction for its natural charm, beaches, commercial areas, communications and leisure offer. Golf and nautical enthusiasts enjoy the proximity of the Baviera Golf Course and the Caleta de Vélez Marina, located just 15 minutes from the urbanization. Located 30 minutes from the International Airport of Malaga, one of the most important and busiest with dozens of connections to Europe.